Some Missions are dropping the word Rescue from their title. A marketing executive recently suggested that Union Rescue Mission consider the same. He felt the term painted a picture of an old school mission providing only 3 hots and a cot along with a Gospel message. A former associate viewed the term as paternalistic and archaic, but I dare to disagree. 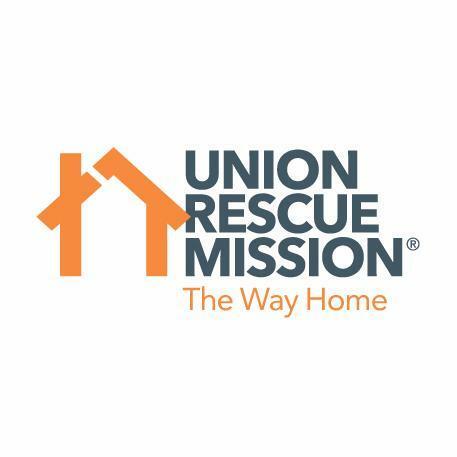 Union Rescue Mission will keep the important word Rescue in our name. No mission has proven to be more innovative, guest affirming and non paternalistic over the years than URM. Over 29 years ago I joined a mission in Des Moines, Iowa and one of the first things I did was to make the chapel voluntary after the meal rather than compulsory before the meal. Attendance not only held steady but those in attendance were no longer physically hungry and had an increased appetite for spiritual food. History shows that happening at about the same time at URM in LA. URM refers to all who live here as guests. URM invites guests to reside at the mission 24/7/365-to be in guest area, or rest in their bunks-no coming in at night, leaving after breakfast and wandering the streets all day. Guests keep their bed until they find a more permanent home-no 30 or 60 day revolving door. In fact, we are on pace to have 824 guests move into permanent housing this year. This number does not include our recovery programs, which would put the number closer to 1000. We affirm our guests dignity by inviting them to stay free for 15 days then choose recovery or join Gateway program and pay a part of their own way, set up a personal savings plan, keep their valuables in a locked storage area under their bunks, volunteer throughout URM, maintain sobriety and participate in our clinics and jobs program. We have great respect and high expectations of our guests. Our hope for everyone is a life transformed, followed by a job, followed by a permanent home. That is the focus of our intense recovery programs. However, we’ve set up sober permanent housing options for single men and women and soon families just in case a return to a job and complete independence is not possible. URM is Christ and guest centered; each day we strive to listen to Our Lord and our guests and to do even better. I know Rescue sounds like there is one rescuer and one to be rescued, which may sound paternalistic and there is a need for humility on the part of the rescued. But humility isn’t a bad thing. It may save your life. I humbly(humiliated) climbed in the boat. It is difficult to walk in the doors of a rescue mission. It is a place of last resort. It is difficult to ask for or accept help. It absolutely requires a level of humility, brokenness, to be rescued, to be restored, to get your swim fins, so to speak, for life’s big waves. It definitely helps when the rescuer is also humble, understands your predicament and welcomes you while affirming your dignity. There is no shame and there should be no shame in asking for help. 3 Give justice to the weak and the fatherless; maintain the right of the afflicted and the destitute. This entry was posted in Andy's Updates, Rev Andy's Blog, The Latest and tagged andy bales, Downtown, Downtown LA, downtown Los Angeles, homeless, homelessness, Los Angeles, rescue, Skid Row, union rescue mission, URM. Bookmark the permalink. At last! Someone with real exiestpre gives us the answer. Thanks! The affirmation of dignity is what sets you apart, and that is truly the difference between rescue and shelter.